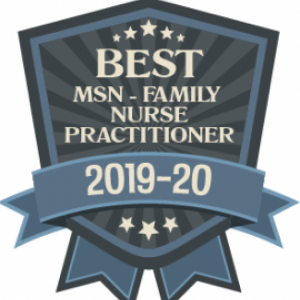 Congratulations to the Master of Science in Nursing, Rural Health FNP track (Online)! 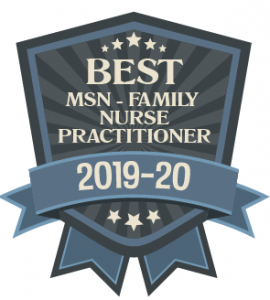 Read all about their program and how GraduateNursingEDU.org evaluated programs all across the country to establish this prestigous award. 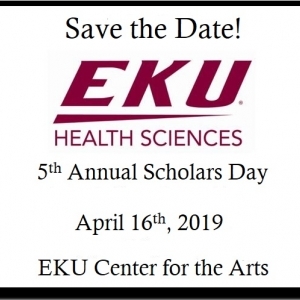 Mark your calendars for our 4th Annual College of Health Sciences Scholars Day. Please visit our Scholars Day page for information concerning this event. 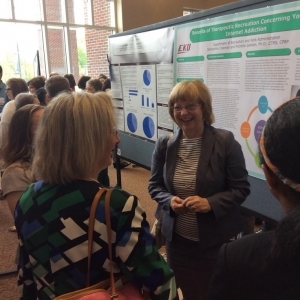 Faculty and students in EKU’s College of Health Sciences have accepted the challenge to improve Kentucky’s health by focusing on the kyhealthnow 2019 goals.